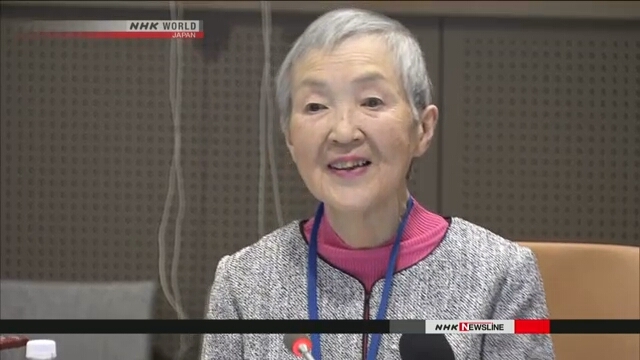 An 82-year-old Japanese software programmer has given a speech at the UN in New York on the merits of digital technology for senior citizens. Masako Wakamiya on Friday described to members of the conference a game app for smartphones she developed for the elderly. She called on people to encourage seniors as active members of society. Wakamiya began to learn programming after she turned 80. She said she became interested in digital technology after joining a group of internet users about 20 years ago. She said technology helps the elderly remain active, and enables them to have exchanges with their families and people of different generations and countries. One participant said Wakamiya is proof that senior citizens are capable, and deserve better quality of life. Another said it's impressive to see what she has achieved, as women tend to lag in the use of technology. The conference was hosted by the UN Department of Economic and Social Affairs, and Japan's permanent mission to the UN. Wakamiya said later she is happy people seemed to understand her message.